Send a one-of-a-kind birthday gift this year, a flower birthday cake! 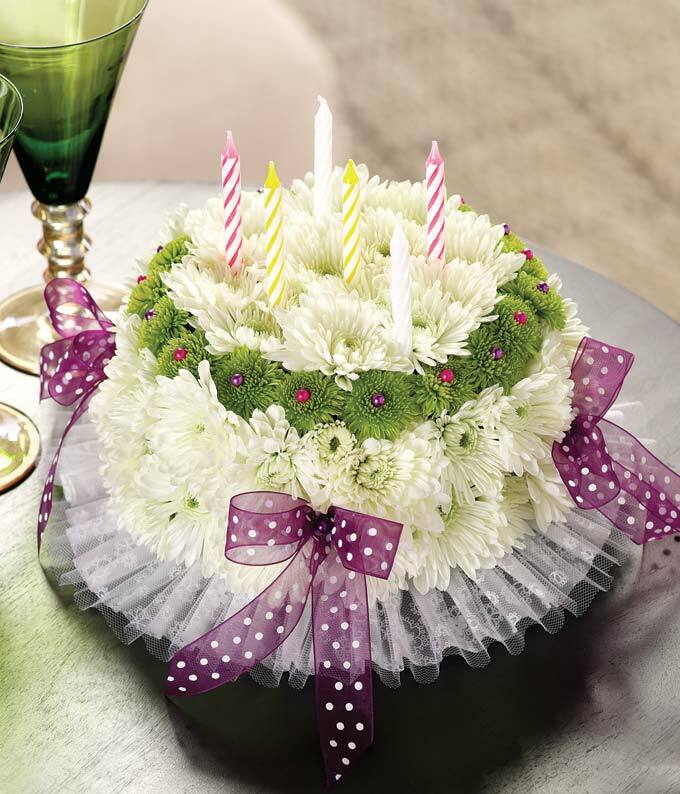 Created by a local florist with fresh white daisies and green poms, shaped into a birthday cake design. Topped with birthday candles, this is a unique way to for the birthday person to make a wish. Approximately 8"H x 10"W x 10"D.